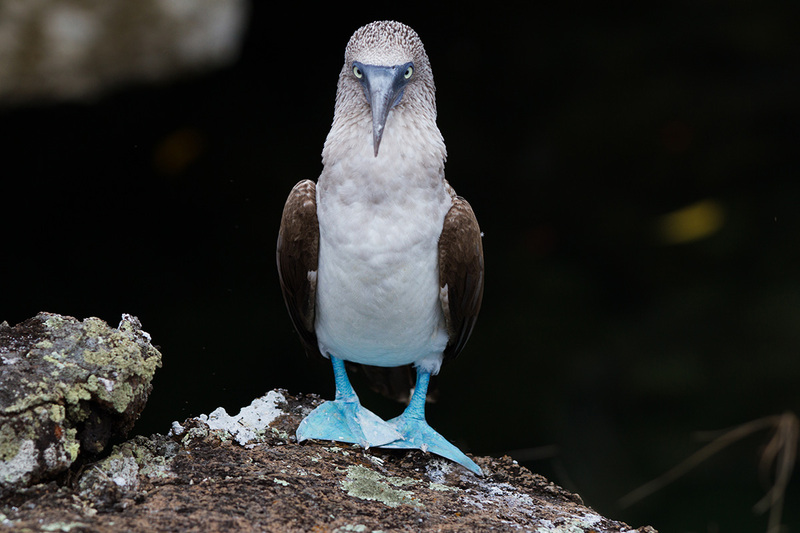 The Ministry of Environment through the Directorate of the Galápagos National Park (Dirección del Parque Nacional Galápagos – DPNG) together with the NGO Island Conservation started eradicating invasive rodents from North Seymour Island and the Mosquera Islet in January 2019. These islands are important tourism and seabird nesting sites for species such as frigate birds and swallow-tailed gulls, which are the only nocturnal gull on the planet. Monitoring activities in early 2018 determined that North Seymour was infested by black (Rattus rattus) and brown rats (Rattus norvegicus). DPNG immediately began managing the project’s development after declaring a state of emergency, which secured funds from the Fund for Sustainable Environmental Investments (FIAS). Bell Laboratories produced 3,000 kilograms of rodenticide for the eradication. 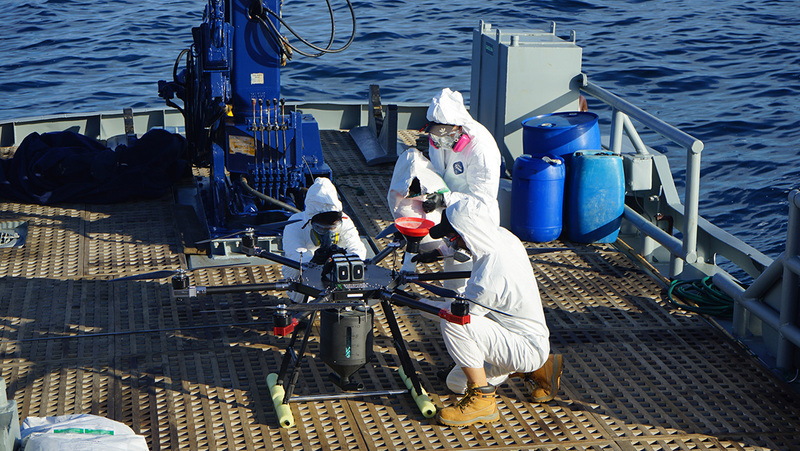 The bait’s formula was designed especially for projects within the Galápagos Archipelago due to their unique weather conditions. The Guadalupe River (DPNG’s boat) was used as base camp for the project. 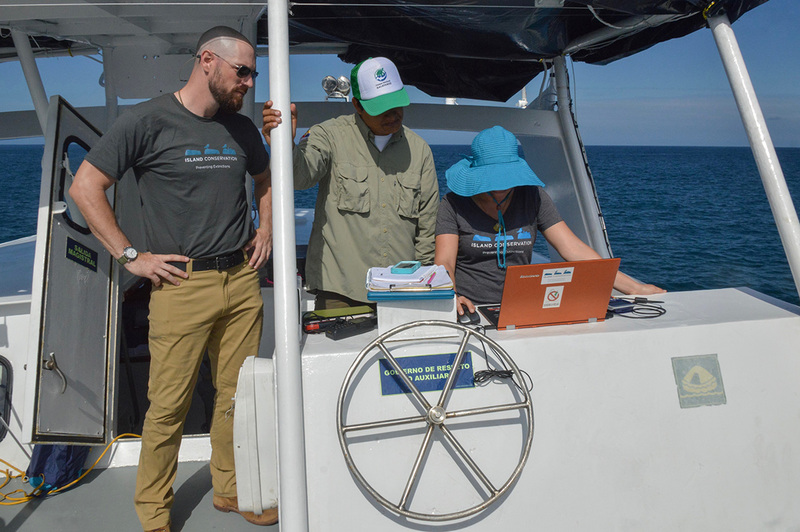 Over 30 park rangers were equipped with masks, goggles, and protective clothing to manually disperse the bait on 48% of North Seymour’s 184 ha and the 5 ha of the Mosquera Islet, adjacent to the island. 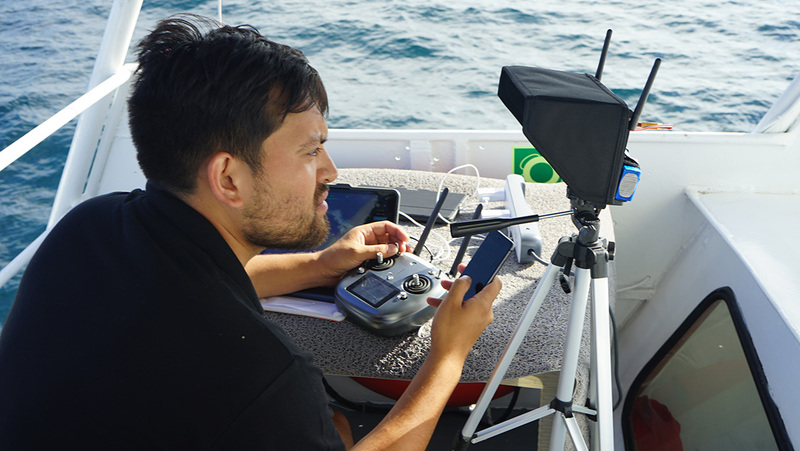 With the support of Island Conservation and New Zealand’s Environment and Conservation Technologies LTD., a pilot project was implemented using drones and hoppers with applicators designed in 3D printers. 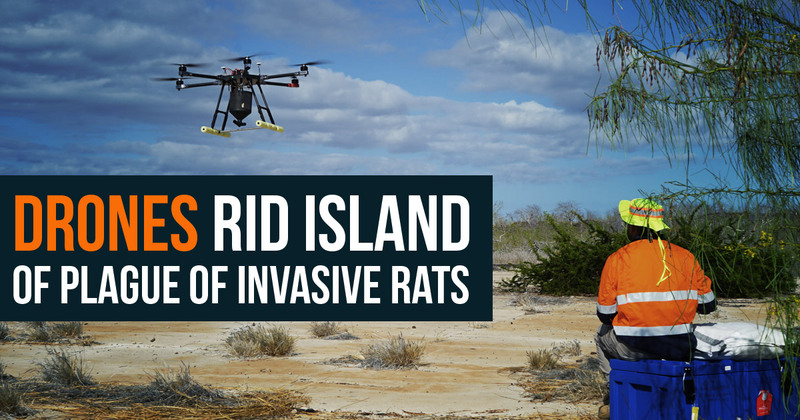 52% coverage of North Seymour Island was possible using this equipment, making it the world’s first use of drones to remove invasive vertebrates. Karl Campbell, Island Conservation South American Regional Director. This project was made possible due to support from Lindblad Expeditions-National Geographic Fund, Silversea Cruises, Galapagos Biodiversity & Education for Sustainability fund Ecoventura – Charles Darwin Foundation, Metropolitan Touring, Fondo Especies Invasoras Galapagos, Rapid Response Facility, Bell Labs, International Galápagos Tour Operators Association, individual donors that gave their support through the SOS North Seymour campaign, and other private and public donors. 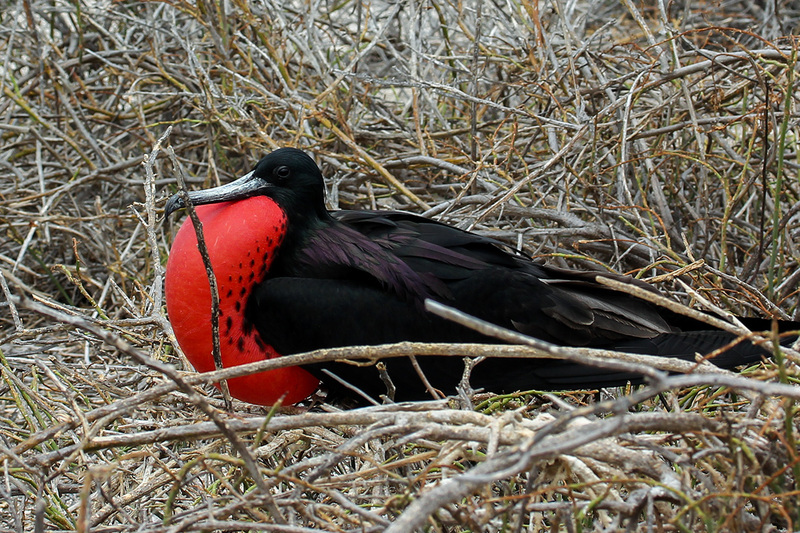 Island Conservation is the only global, not-for-profit conservation organization whose mission is to prevent extinctions by removing invasive species from islands. We work where the concentration of both biodiversity and species extinction is greatest – islands. Removing a primary threat – introduced invasive vertebrates – is one of the most critical interventions for saving threatened plants and animals and restoring island ecosystems. Once invasive species are removed, native island species and ecosystems can recover, often with little additional intervention. To date, we have successfully restored 63 islands worldwide, benefiting 1173 populations of 468 species and subspecies. Island Conservation is headquartered in Santa Cruz, CA with field offices in British Columbia, Chile, Ecuador, Hawai’i, New Zealand, Palau, and Puerto Rico.